Whether your WooCommerce shop is brand spanking new, or a long established store with plenty of loyal customers, optimizing it for better search rankings should be a priority. With online competition only getting stronger, and industries only getting bigger, online shops are finding it harder than ever to attract, covert, and retain new customers. However, with a little dedication, and some proactive tips in your arsenal, you’ll be able to drive more traffic to your WooCommerce shop and convert more site visitors into customers than ever before. Let’s take a look at some actionable WooCommerce SEO tips for boosting organic traffic and sales. Using an SEO plugin is the key to making sure your online shop is optimized for the best search engine rankings possible. Yoast SEO is one of the most popular and effective SEO plugin’s on the market today for both WordPress and WooCommerce websites. It helps you choose a focus keyword for every post and page of your site and even suggests improvements for making it SEO optimized. This way when people enter search queries into the Google search bar, your site shows up when appropriate. Focusing on the right keywords throughout your WooCommerce shop will guarantee the right people see your website in search results and click to visit your site. From there, the right people will convert into leads and customers. One of the most important aspects of your online shop are product images. After all, people want to know exactly what they’re buying. And since that can’t see your product in person since you’re an online shop, the next best thing is a clear, crisp image. If you do all of these things, not only will customers have a clear idea what your selling, your WooCommerce shop’s speed and performance will never be sacrificed, and your shop will show up in the right search results so people looking for what you have to offer can easily find you and visit. If you have a WooCommerce shop with hundreds of products, that means you have hundreds of products with detailed product descriptions. The problem with this is, it’s easy to start creating product descriptions that are very similar, especially on similar items you sell. Avoid using the same descriptive words over and over so your search rankings don’t suffer. If Google notices duplicate content, it won’t know how to properly index it and your site could end up going unseen by valuable prospects. Any of these tools will help you come up with related keywords and phrases you can use in all of your shop’s content so that it doesn’t all start sounding the same. Internally linking throughout your online shop not only encourages site visitors to explore other areas of your shop, it tells Google how to better map out your website and display it in search results so more traffic can come to your site and more purchases can be made. Authoritative pages on your website are the ones that will attract the most organic search results. Linking to these highly trafficked pages, you can leverage their popularity and use them to help boost the rankings of your online store’s product pages. The more people that come to your online shop, the higher the chances you have of converting these site visitors into customers. One of the biggest mistakes online shop owners make is fail to A/B test elements on their website to make sure they are actually converting people into customers. While A/B testing in not technically an SEO tip, it still plays a major role in whether the site visitors you work so hard to bring to your site like what they see and make purchases as a result. 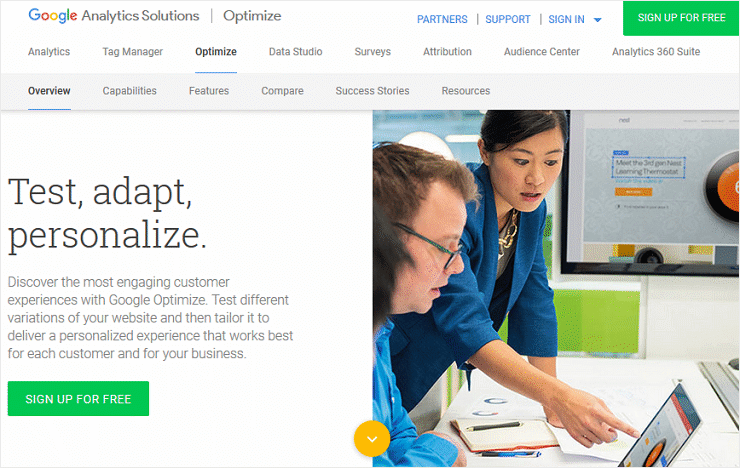 One of the best ways to run A/B tests on your website is to use Google Optimize, a free A/B testing and personalization product Google provides all website owners. If you want to conduct split testing using Google Optimize, you’re going to need to have a Google Analytics account. This is a good idea anyways because Google Analytics provides lots of valuable information regarding the type of traffic that comes to your site, where it comes from, and how people behave once on your website. Your customers’ user experience relies on how easy it is to navigate your online shop. After all, if people come to your site looking for a specific product, you want to make sure your menu items are easy to understand and use so they can find exactly what they came to your site looking for. If people can’t navigate your website you’ll see bounce rates increase and conversions decrease, which is not only bad for your site’s SEO, it’s bad for business. And there you have it! 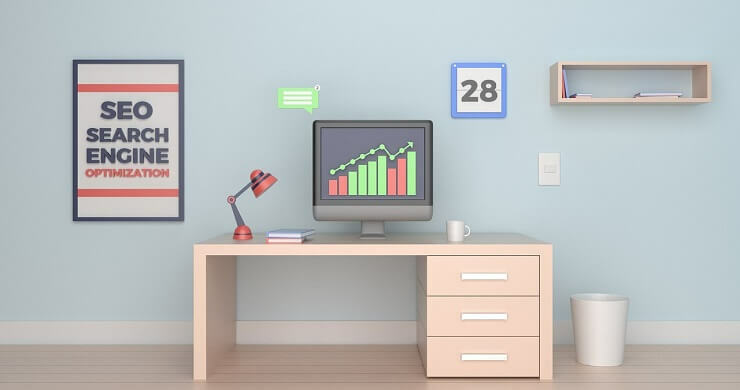 6 solid ways you can improve your WooCommerce SEO optimization so the right audience finds your shop in search results, more traffic visits you, and more sales are made. In truth, there are many other ways you can help your eCommerce SEO efforts. However, if you start with the basics, you’ll quickly see more organic traffic coming to your site and converting into customers, so you can continue to build on that success and beat the tough competition. Have you ever used any of the above mentioned WooCommerce SEO optimization tips? Do you have anything to add that may be helpful to fellow online shop owners? We would love to hear you thoughts in the comments below! Lindsay is a lover of all things WordPress. When she is not writing she can be found spending family time with her son and their pet fish, Blueberry. Copyright © 2018 StackPress LLC. All rights reserved.